Now, I personally do not engage regularly in yoga – I have on occasion and really enjoyed it, and really do promote it to women, people with back issues or core-stability weakness and those who like a group environment. Not only is it relaxing, there are emerging benefits coming from scientific research which is great. 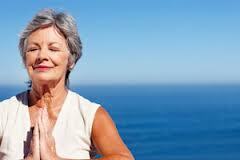 This study made women partake in Hatha yoga for 2x 90 minute sessions per week for 12 weeks. This is a fair amount to partake in, and a realistic place to start an exercise program. Here were the benefits: Reduced fatigue, increased vitality as well as a range of blood-markers associated with fatigue and inflammation (IL6, TNFa). By partaking in regular yoga, you can allow yourself to feel better, have more energy, get out there in the world, live life again, take control, be who you want to be! If you are considering getting back to your old yoga classes or starting a new one, dont try and rush to complete the most complex stretches straight away. Ease into things at a basic level for the first couple of weeks. Once your body is comfortable, then you can start to challenge yourself. You can do it! One stretch at a time! Reblogged this on Soulsong Yoga.